Joe Wenderoth is an American Poet from Baltimore, Maryland. He is currently an Associate Professor of English in the graduate Creative Writing Program at the University of California at Davis. His books are Disfortune (1995), It Is If I Speak (2000), Letters to Wendy's (2000), The Holy Spirit of Life: Essays Written for John Ashcroft's Secret Self (2005), and No Real Light (2007). 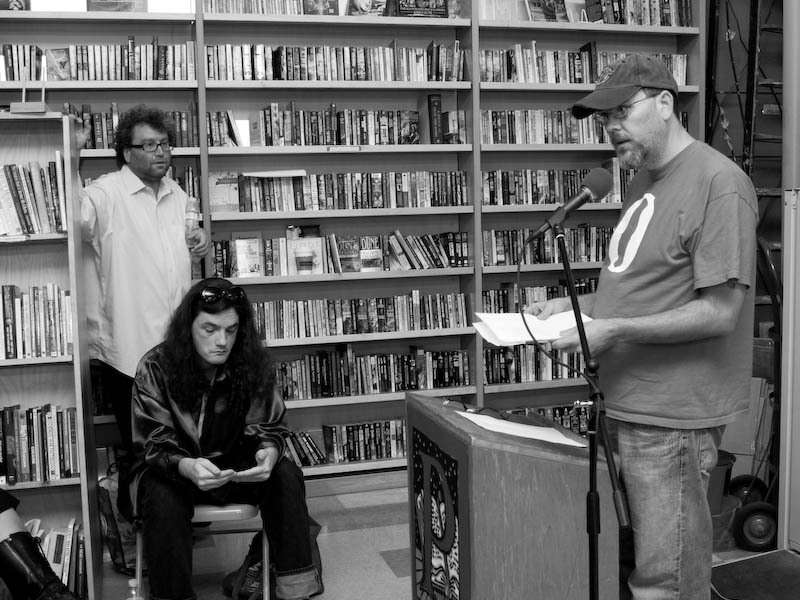 This reading marked the release of State of the Union: 50 Political Poems from Wave Books.